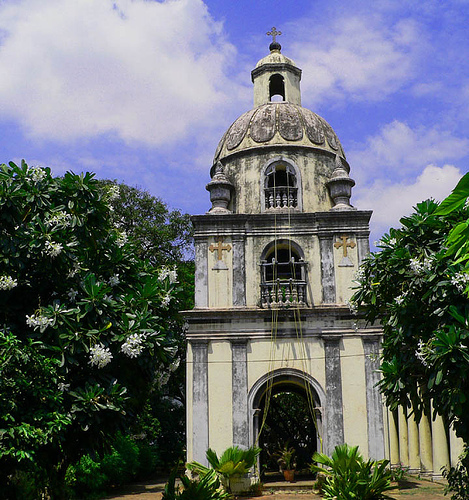 The Armenian Church of Virgin Mary is located on Armenian Street, (off Netaji Subash Chandra bose Road). It is one of the oldest Churches in Chennai and was a very busy church in 17th century when a lot of Armenian families lived in Chennai. The church was built near fort St George in 1712. It was destoryed in 1746 in the French seige. This was rebuilt in the current location in 1772. The Church complex has a small chapel and a belfry tower. The Church has six large bells casted in England exclusively for this church. Each bell weighs about 200 Kgs. The church corridor also lodges the tomb stones of a Armenians who were buried in 17th century.